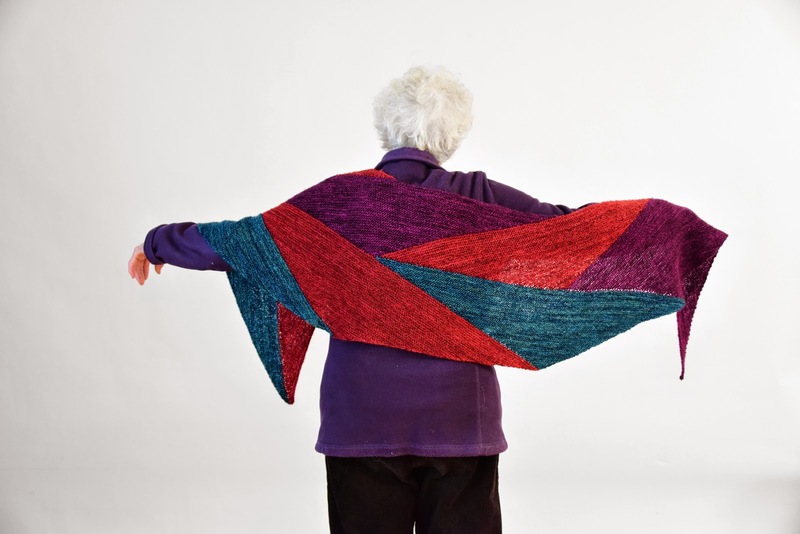 The Trig Wrap is a boomerang shaped shawl made of short row triangles. There’s no sewing or complicated colorwork. 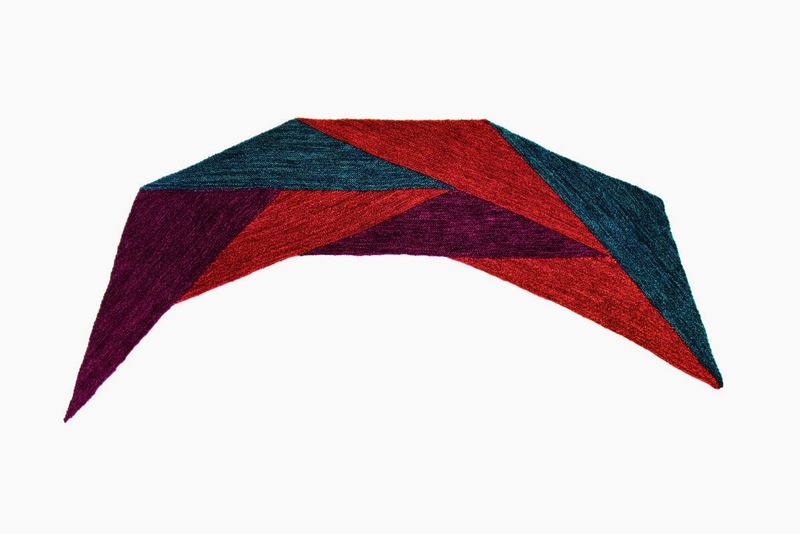 Each garter stitch triangle is simple enough to be relaxing, but still holds your interest. Instructions are for 3 colors, but you can use up to 7 colors. See yardage info below for details on making a 7 color (stash buster) version. Finished Size: 72” (183 cm) long on inner edge and 100” (254 cm) long on outer edge and approx. 14” (36 cm) deep. Yarn: Madelinetosh Tosh Merino Light 420 yards/100g (384m/100g) per skein. 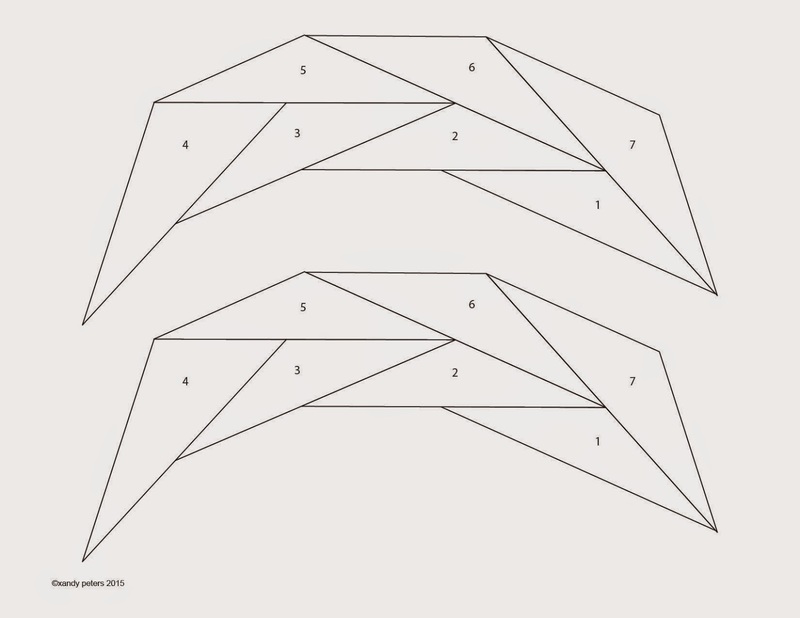 To make every triangle a different color, you will need 30g, 125 yards (115 m) in 6 colors, and 45g, 188 yards (205 m) in one color for triangle 4. Needles: Size 7 (4.5mm) 40” circular needles, or size needed to obtain gauge. Gauge: 20 sts x 40 rows = 4 x 4” (10 x 10 cm) square in garter stitch. Other Materials: 2 markers, sewing needle. About the model: Carol Ruth is my grandmother. She’s as beautiful at 92 as she was at any other age. She’s also an intelligent lady who reads the newspaper every day and takes an interest in global issues. She is an award winning photographer and knits for charity. As you can see in these pictures, she is also very agile. She lives with her mini chocolate poodle, Coco, whom she is devoted to. 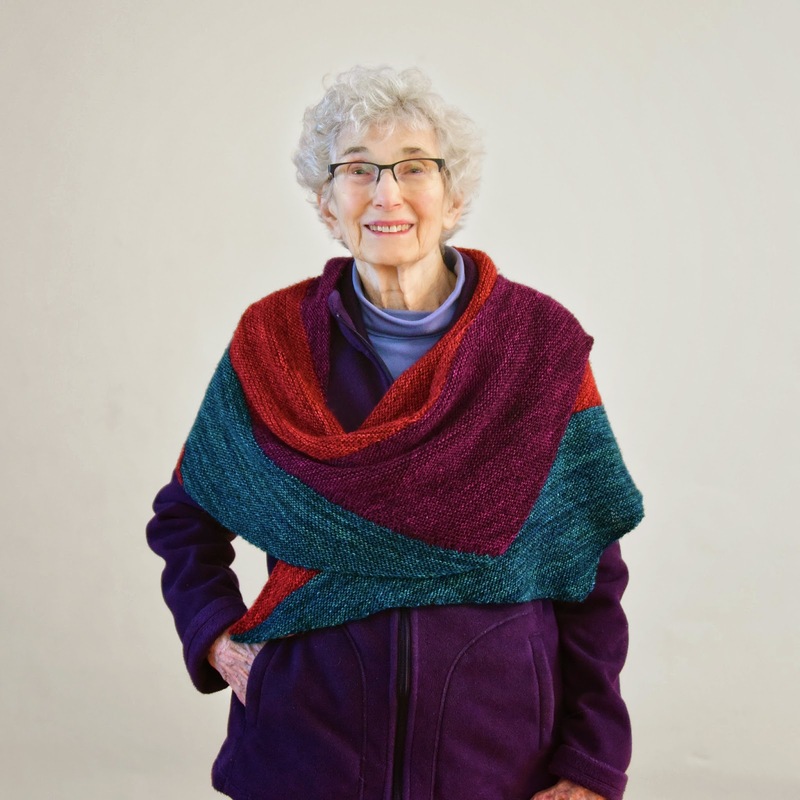 Overall, she has been a great role model to me over the years, and she is a great shawl model as well. 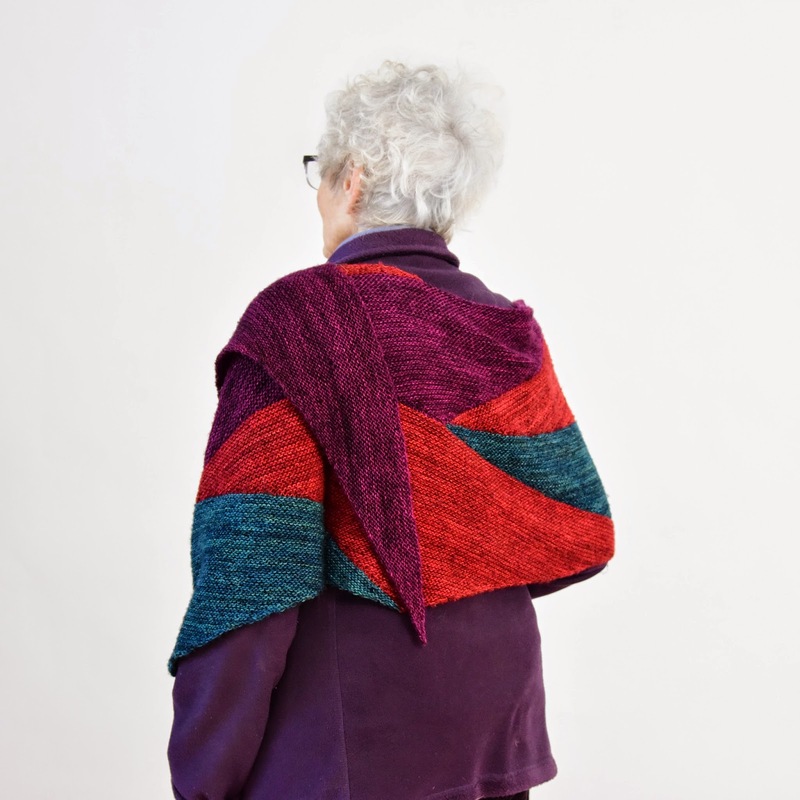 Trig is available now for download on Ravelry. You can see what the sample looks like as a reference. The pattern will give you color instructions in this order, but I really want to see some crazy 7 color shawls going on, so raid the stash! !